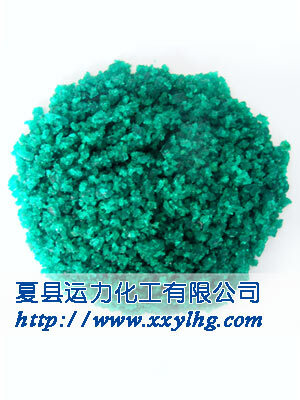 Physicochemical Properties: Nickel nitrate hexahydrate is a green crystal. It's easy in moisture absorption. It disintegrate in dry air. Specific Density:2.05, Melting point:56.7℃, Boiling point: 136.7℃. It decomposes into tetrahydrate by losing four water molecules and then converts into anhydrous salt at temperature of 100℃. It's easily dissolved in water, and is soluble in alcohol, and slightly soluble in acetone. The aueous solution is acidity. It will burn once in contact with organic chemicals. It's harmful to swallow. Applications and Usages: It's mainly used in electro-nickeling and preparation of ceramic colored glaze and other nickel salt and catalyst containing nickel,etc.